2015 is Recon's 15th year of helping men into fetish master their fetish evolution. 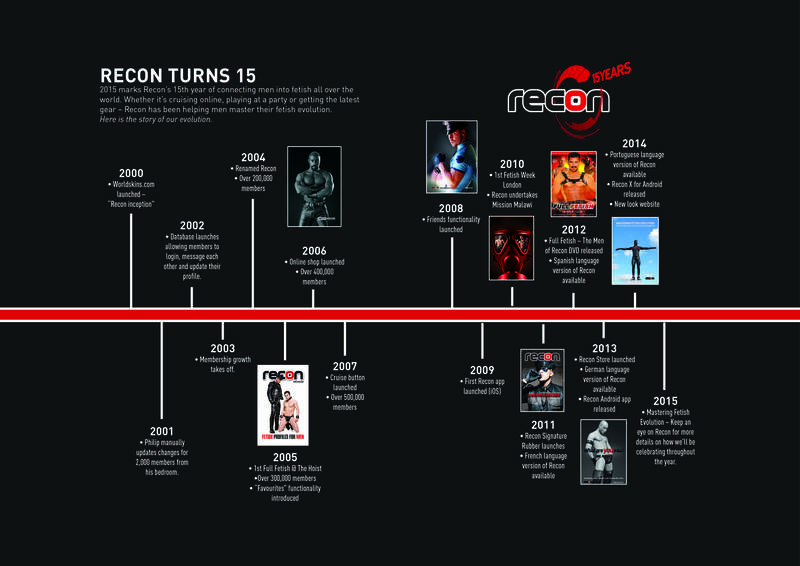 Since 2000 the company has changed and expanded in ways that were not always anticipated, and everyone in Team Recon is incredibly proud of what's been achieved so far. We'll continue to move forward and evolve so that we're always providing the services (and men) you need, but sometimes it's good to take a moment to look back to see where we came from. The link below will take you visual timeline of the Recon story so far. Take a look and see if you remember where you joined the timeline, and how your fetish might have evolved since then.